Whenever you set out to do something on a higher level than usual, it’s good to have a guideline to follow. Use the following points to up the level of your next college research paper. Find 2 or 3 main points which emerge from the research to make the central theme of your paper. 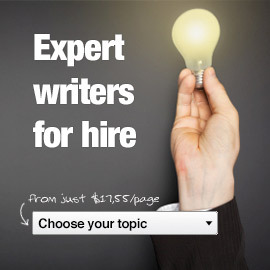 You will see both good and bad writing styles while you are combing the literature. Some are easy to follow and others are not. Make sure you write in a clear and logical style. Keep your readership in mind when writing. If you know their educational level, you can plan accordingly. For a more educated audience, you don’t have to supply as much background explanation. When preparing your tables and figures, do it in a professional manner that matches the style guide you’ve been asked to use. For example, APA style. Make sure your thesis statement is specific enough to cover in the scope of your paper. A general statement will be hard to support because there’s too much information to include in a college research paper. It should be succinct and specific. Carefully keep track of all references and sources when writing down research notes. Make sure each entry you make has the corresponding reference attached to it. This will save you from going back over all the reading material again to find where you got a specific quote or passage of text from. Form an outline using your main sections, main points and details so that you have a guideline to follow when writing. The outline is like a framework that helps you stay on track and put everything down in order. When using an outline you are less likely to add extraneous material that’s not necessary. Once your rough draft has been written, check the paragraphs. Do they line up properly with the outline? Have you forgotten anything? Have someone else proofread your work. It’s very difficult to see your own errors. To make your research paper really shine it needs to be error-free. Put together your reference page with precision so that you can’t be accused of plagiarism.